How to watch Mowgli: Legend of the Jungle (2018) on Netflix Costa Rica! 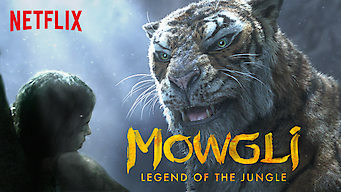 Yes, Mowgli: Legend of the Jungle is now available on Costa Rican Netflix. It arrived for online streaming on December 7, 2018. We'll keep checking Netflix Costa Rica for Mowgli: Legend of the Jungle, and this page will be updated with any changes. An orphaned boy raised by animals in the jungle seizes his destiny while confronting a dangerous enemy -- and his own human origins. Torn between two worlds, he's on a treacherous quest to discover who he really is -- and the hero he's meant to become.